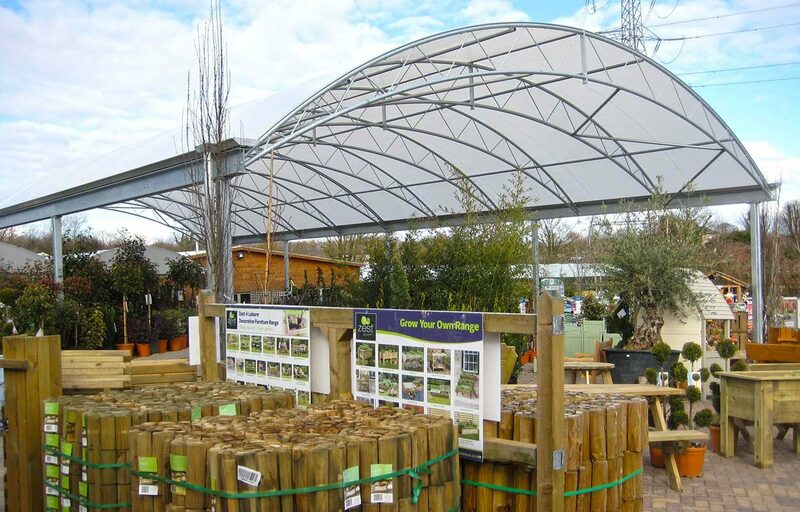 Fordingbridge have expanded the covered outdoor retail capacity by 300m2 at Warbreck Garden Centre with the addition of a barrel vaulted canopy. 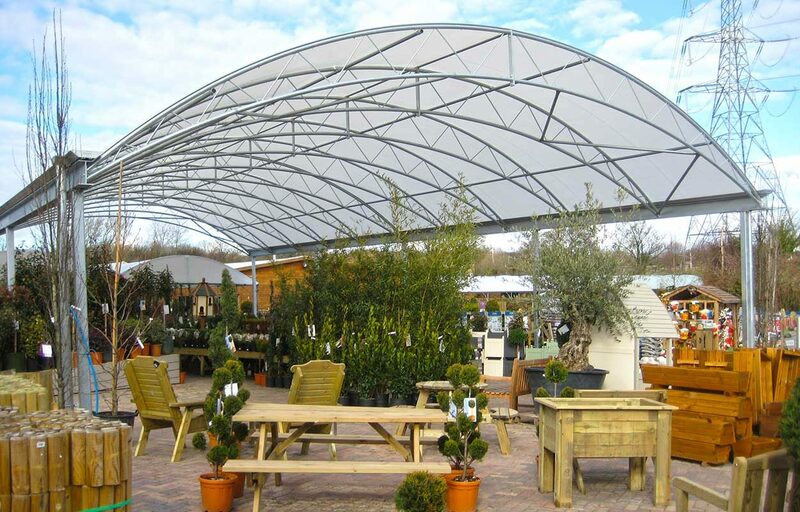 The 25m x 12m canopy has a galvanised finish which will protect the steel from corrosion and allows Fordingbridge to guarantee the structures for 25 years. 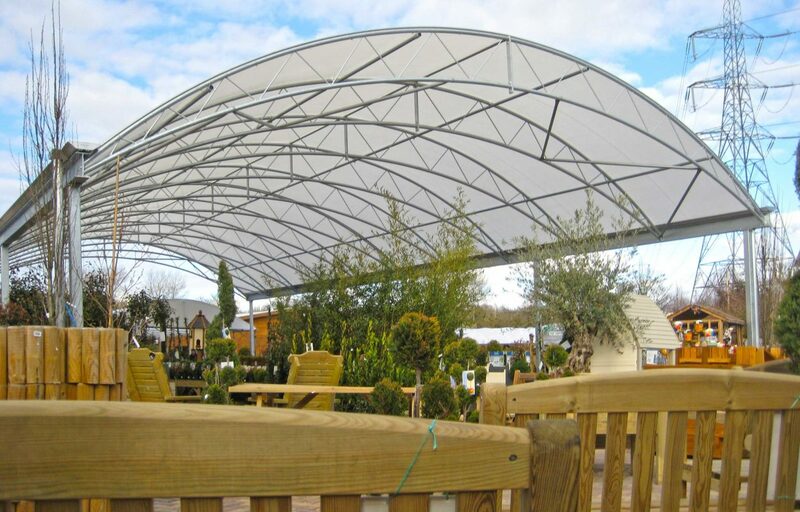 The Opal 60 fabric is waterproof, fire retardant and prevents product from discolouring if exposed to UV rays for long periods of time. 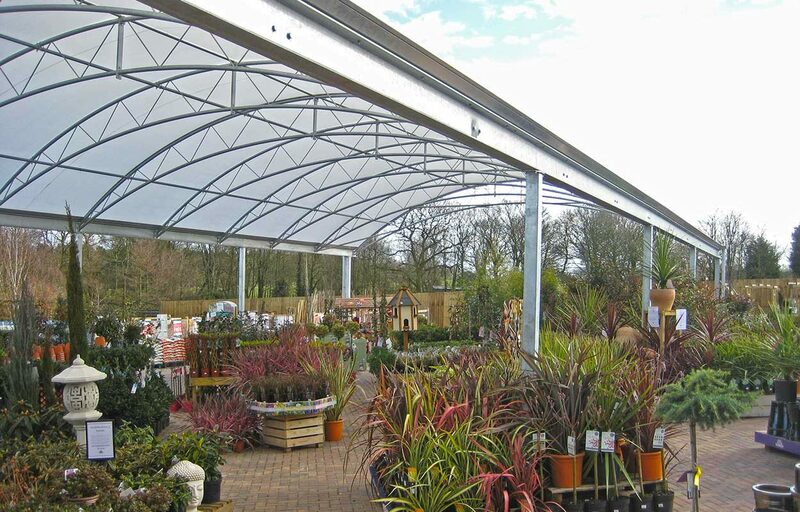 The mill finish aluminium gutters and rainwater pipes come as standard with Fordingbridge canopies. 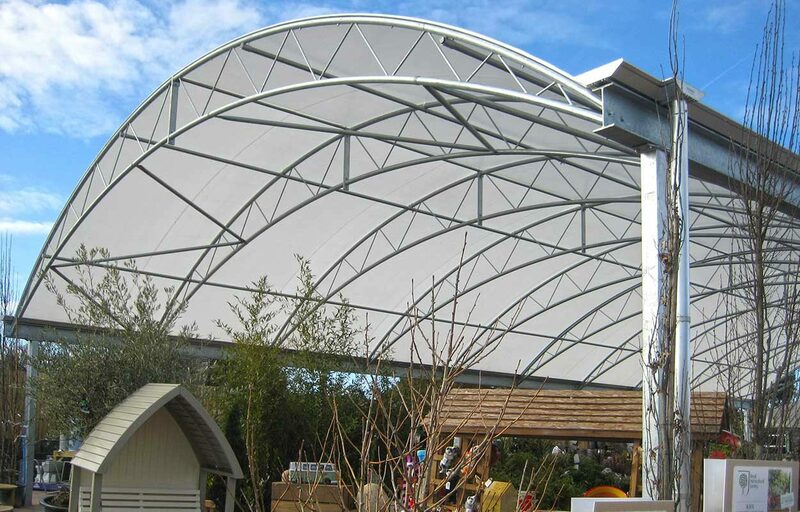 Gutters and rain pipes: Mill finished aluminium gutters and rainwater pipes as standard.